Resting on the river bank. Look at the right eye, damaged, we will never how it happened. 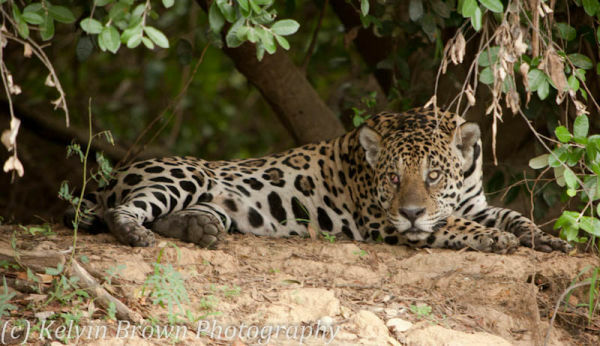 This Jaguar has recently (Sept 2013) been photographed taken a Caiman.